Researchers from the University of Illinois at Urbana-Champaign think mimicking nature is the best way to help robots take flight. So with the help of a 3D printer they’ve created a flying robotic bat complete with a layer of fake silicone skin for the wing’s membranes. It somehow manages to make real bats look almost cute in comparison. 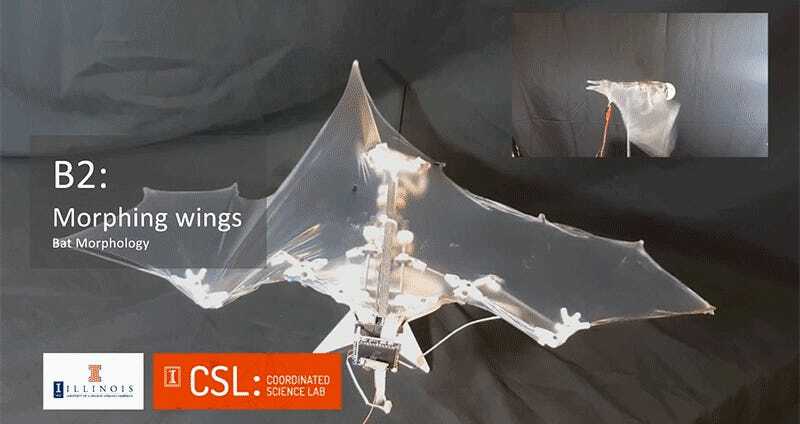 Weighing in at just 92 grams thanks to a carbon fiber airframe, the Bat Bot—or B2, for short—uses five motors on board to control the flapping and articulation of its wings. 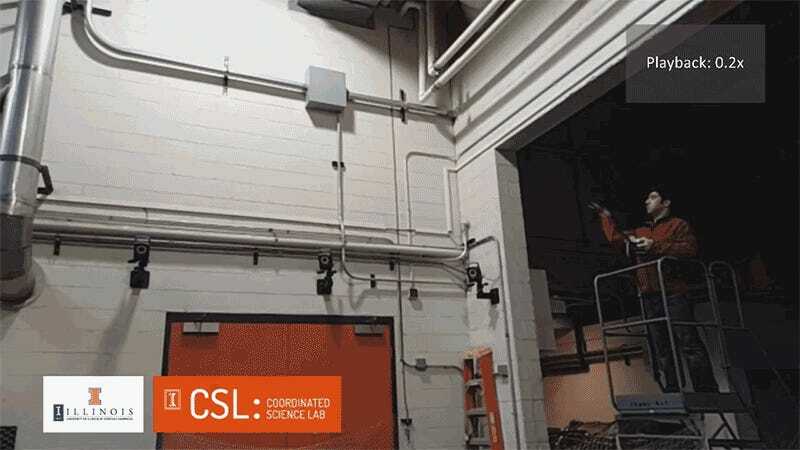 It’s intelligent, too, with an onboard microprocessor and sensors that allow it navigate a room without the need for an exterior motion capture system keeping it out trouble. After watching the videos of this creation in flight, there’s only one real question we have for the team of researchers: can this technology be scaled up to realize our Batman fantasies, and how soon can you deliver it?